Have you ever visited someone's home, watched a television programme or been on holiday in a fabulous hotel and wished your home could look like that? Have you looked at magazines and seen the beautiful homes of the rich and famous and would love to be able to create interiors like that? Almost certainly an Interior Designer has been involved, but how do they do it? Could you be your own Interior Designer? 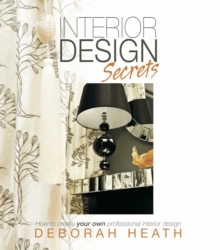 This book has been written by an award winning Interior Designer and gives you insight into how the professionals work and their secrets in achieving that wow factor. The chapters cover all the main areas of interior design with photographic examples and design tips summaries to remind you of the key points. This book will inspire and guide you through any size of interior design task with useful references where further information is required. Whether you are a gifted amateur or a complete novice this book will help and inspire you.